Cover of ACLU-NM report about discrepancy in NM solitary confinement statistics. The American Civil Liberties Union New Mexico appears to have uncovered a significant statistical deficiency in New Mexico criminal justice data. In September 2018, the state Corrections Department reported 4 percent of inmates in its prisons were being held in solitary confinement — defined as spending 22 hours or more a day alone for 15 or more consecutive days. A research team working with the ACLU found that the rate was actually 9 percent. Steve Allen, policy director for the ACLU of New Mexico, chalks the disparity up to a lack of uniform policies, practices and data collection. 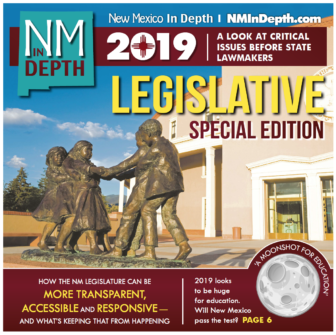 Lawmakers are hopeful that 2019 brings an opportunity to significantly overhaul major parts of the New Mexico criminal justice system, after what one key state senator called a “lost decade” that saw myriad ideas but scant action. Bills are expected to address chronically high crime rates across the state, with a focus on speedier justice in cases involving violence and more lifeboats for people whose lesser crimes have saddled them with the stigma of a criminal record. There’s talk of a massive “omnibus” bill that would feature changes to New Mexico’s probation and parole systems, reparations for crime victims, the way law enforcement uses eyewitness testimony to seek convictions and several other laws. Then there are the reforms that, in years past, have found support from both political parties but ultimately met the veto pen of Gov. 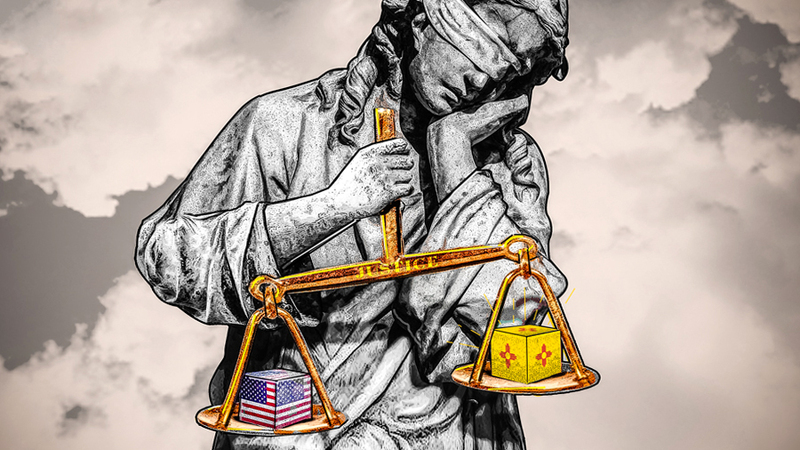 Susana Martinez, a former prosecutor who for eight years stuck to her belief that New Mexico needed tougher penalties for lawbreakers, but largely stiff-armed proposals to address systemic injustices. Those shifts — likely to be proposed in individual bills — would include limiting the use of solitary confinement in the state’s prisons and jails, creating a pathway for some offenders to have their criminal records wiped clean after a period of time and prohibiting private-sector employers from inquiring about job applicants’ past convictions in most instances. Attack ads, political bottle tossing and recriminations have marked this year’s race to replace outgoing Gov. Susana Martinez, who is leaving office due to term limits. The campaign’s increasingly dark tone illustrates the state of play in politics here in New Mexico and across the nation. But under the tribalism lies something else: A set of stark differences in visions held by the two candidates, Democrat Michelle Lujan Grisham and Republican Steve Pearce, who have both abandoned seats in the U.S. House of Representatives for a shot at the Governor’s Mansion. During three televised debates, Pearce and Lujan Grisham have hurled broadsides and frontal attacks at one another on a host of issues bedeviling the state — from education to immigration, economic development to marijuana legalization, energy to water conservation. Clashes over how to address New Mexico’s persistently high crime rates, particularly in Albuquerque, have torched some of the race’s oxygen, too. 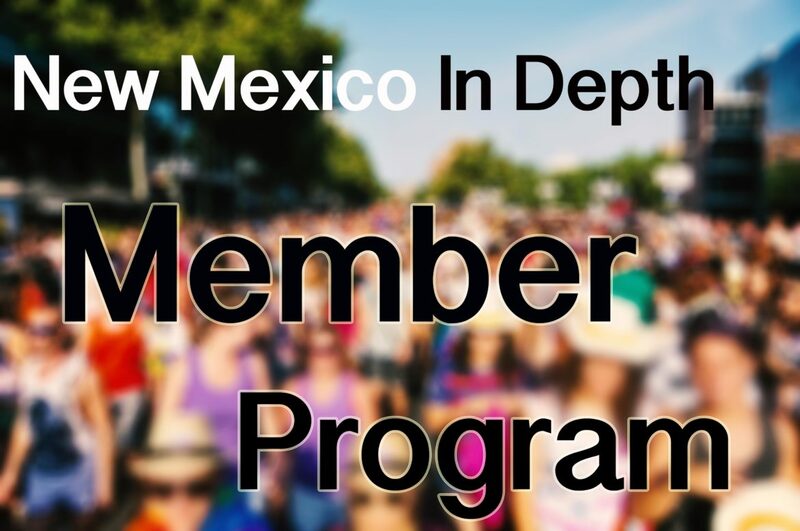 For the first time, SFR and New Mexico In Depth can present vignettes of Gov. Susana Martinez’s pardon files — stories about crime, punishment and redemption. If not for a years-long legal fight, the public likely would never have seen the stories. In 2013, SFR sued the governor for failing to turn over various public records. The most significant of them were the applications people had made to the governor requesting pardons. Martinez’s office argued executive privilege shielded the pardon files from disclosure. An analysis of hundreds of pages of documents shows that Gov. Susana Martinez has granted just three pardons since taking office, and petitions for clemency have fallen by 75 percent compared with her predecessors. A desire to protect young women may be doing more harm than good. 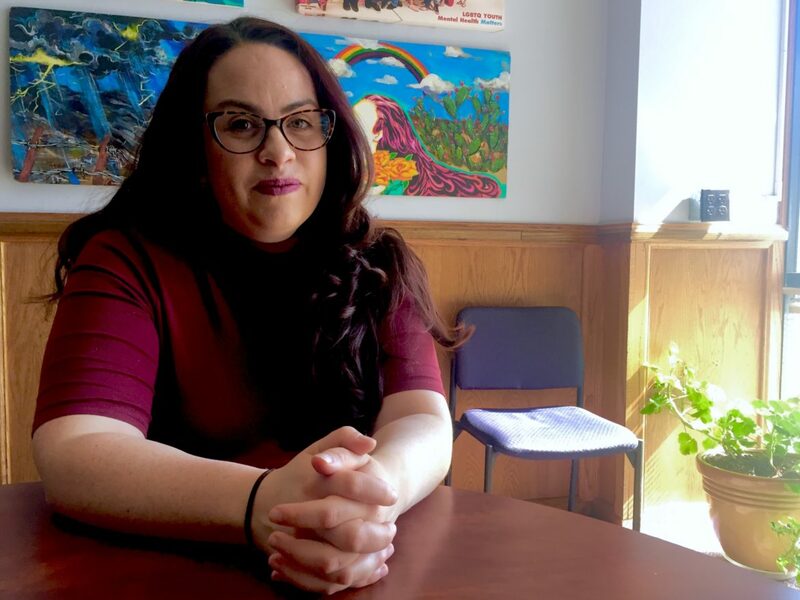 For nearly two decades, Bernalillo County’s juvenile justice system has adjusted its approaches to young people to reduce incarcerating them. But in 2015, they saw spikes in the girls’ detention population so significant they were required to open a second unit for girls several times throughout the year to accommodate the increase. Their reform efforts had overall led to dramatic reductions in juvenile incarcerations—as much as 74 percent. But those efforts weren’t reaching girls as effectively as boys, and no one had pulled the data apart to see that in a decade.